There are so many reasons your kids might be growing up without a father. been sudden with no warning. Each case provides its own unique difficulties. Maybe he is in prison and so you and the kids have no contact with him and it will be a long time before you do. That could be a good thing or part of the devastation. Maybe he abandoned you. There are many paths to being a family without a father. I am NOT talking about families in co-parenting situations. 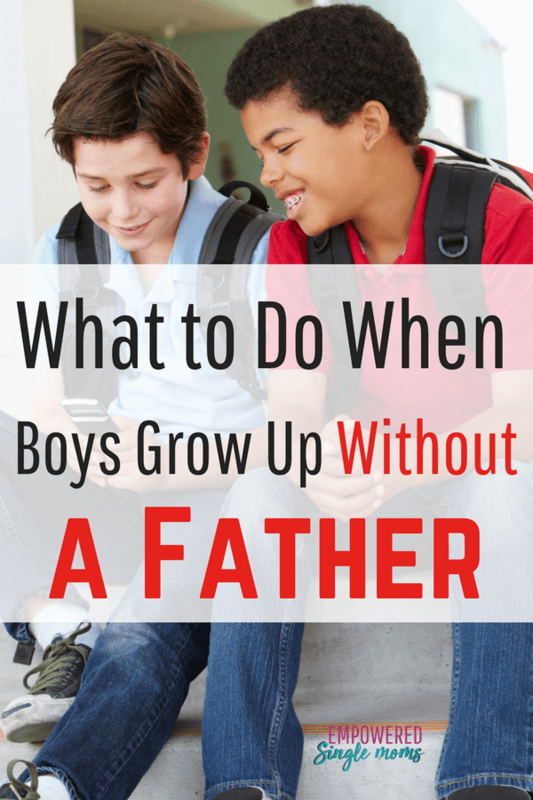 When you are in a co-parenting situation your children are NOT growing up without a father. He does not live with them full time. Their dad probably does not see them every day, but they do have a father. He is one of their male role models. You have probably heard that children in two-parent homes do better than children with single moms. You may have heard that this is based on statistics. Now, back to the two-parent home statistic. Dr. Bella DePaulo interprets that data to say children need stability, security, and adults who care about them. She reports that some studies say children from two-parent homes do better, some studies say children from single-parent families do better, and some studies say both groups of children fare the same. Lisa Mancini’s thesis focused on daughters growing up without fathers. She drew the conclusion that girls without fathers are more likely to experience unplanned pregnancy and low self-esteem, be a high school and/or college drop-out, live at the poverty level, get a divorce, and be sexually promiscuous. I think this information supports the importance of having a male role model. That male role model doesn’t need to be the father. If it is, fantastic–but there are other options. If you are feeling overwhelmed and hopeless, know that there are bucketloads of hope to be had. You can raise successful children even if they are growing up without a father. No, it is not ideal, but we must deal with the life we have, not the life we planned. It is fine to grieve the dream of what you wished for, hoped for, and planned. Once you have taken some time to grieve, you need to put your lives back together again. Being a single mom is hard, but being a single mom whose children are growing up without a father is even harder. There is a process you can use to put your lives back together again. The first step to building a new life is to believe that it is possible to have a successful life as a single mom whose children are growing up without a father. It matters what question you ask yourself. If you ask yourself, “Can I have a successful life as a single mom?” on a difficult day you may answer “Probably not.” Instead ask, “How will I build a successful life?” There is a huge difference between if and how. When you ask “How?” you keep looking for a way to reach your goal. You are not meant to be the only adult in your child’s life, so you will need help. Do not perceive this as a weakness. Traditionally, extended families work together to raise children, nurturing relationships with several important adults. It is good for children to have a number of adults they can depend on and who they are loved by. If you are the only adult in the home and their father is absent, you will need to be intentional about building your children a circle of support. Children do need positive male role models. It is great if it can be their father, and even better if they can be raised in a home with two parents who love each other. If their dad is not available, there are other options. There may even be someone who will step in and mostly fill the role of a father for your child. What if there is no one to fill that role? Your children can have a handful of men who each play a special role in their lives. This may happen naturally and automatically. 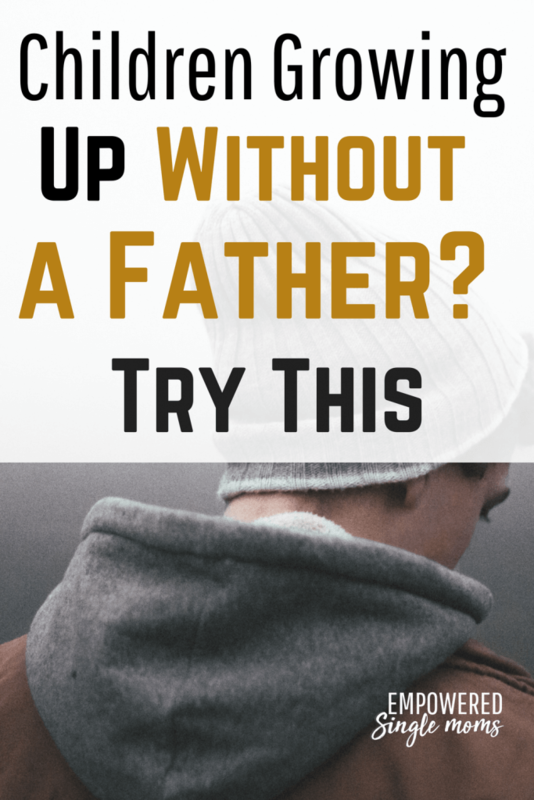 Often in these situations, you will need to be intentional about developing opportunities for your children to find positive male role models. Consider the men in your family. Your father, brothers, male cousins, and brothers-in-law provide models of good men. If your children have a brother who is seven or more years older, he may be a positive male role model too. Do these men share the same hobbies or interests as your children? Many men, for example, enjoy sharing hunting and fishing with older children. Is there a skill your child is interested in learning? Does one of the men in your family have this skill and are they willing to teach your child? Encourage your children to be involved in activities. Here are some examples of activities that provide opportunities to get to know strong male role models. Sports coaches are important role models. If faith is a part of your life, consider looking for a church with an active youth group. Pastors and youth leaders (whether they are paid staff or volunteers who work with the youth program) can be great role models. Children interested in music often have the same music teachers for several years. They can build strong relationships with those teachers whether they are getting private lessons or are in a band, choir, or orchestra. These activities provide positive structure as well as opportunities for teamwork and discipline. Boy Scouts is another activity that provides opportunities to get to know male role models. Children often meet counselors at summer camp who become important role models. You can look to neighbors as possible role models. I met a man whose career path was inspired by the time he spent with his retired neighbor. That neighbor provided a model of how to be a good man. Maybe your children are interested in helping out or earning some spending money. This could also be an opportunity to meet role models. Another man I know formed a strong and lasting relationship with his childhood neighbor that started when he was a preteen helping out with yard work. Do you have a male friend who may take an interest in your children? Avoid dating partners being in a parental role until you are fairly certain the relationship will last long term. If you remarry or are in a long-term (many years) relationship with a man he may be a male role model for your children. Even if your children’s father is not available, your children can have positive adult men in their lives. This may happen organically, but you can be intentional about providing opportunities for your children to connect with positive male role models. One man may not fully fill the role of father for your children. Instead, there may be two or three men who each play an important role in your children’s lives. Look for these role models in your extended family, your children’s activity leaders, friends, neighbors, and fathers of your children’s friends. You can provide opportunities for your children to participate in activities where good men are involved. Most of all, believe that your children can have a successful life. They can learn the lessons that men have to teach. Both sons and daughters need male role models. I made a closed group on Facebook just for single moms like you. Join us at Empowered Single Mom Tribe.